Real Madrid began the defence of their Champions League crown with a resounding victory over Roma at the Santiago Bernabeu in Group G. The hosts have won the tournament for the past three years and simply picked up from where they left off at the end of last term. They should have broken the deadlock long before Isco’s delicate free-kick from 25 yards on the stroke of half-time, but the Spaniard’s finish set the ball rolling for what would be a comfortable victory. Gareth Bale grabbed the second shortly before the hour mark with a typically clinical finish after meeting the through ball of Luka Modric, while substitute Mariano – a summer signing from Lyon – made it three in injury time. Zinedine Zidane and Cristiano Ronaldo might have departed, but life goes on smoothly for Los Blancos. Real Madrid set up in a 4-3-3, with Casemiro at the base of the midfield triangle and Toni Kroos and Luka Modric ahead of him. Isco, Karim Benzema and Gareth Bale led the attack. 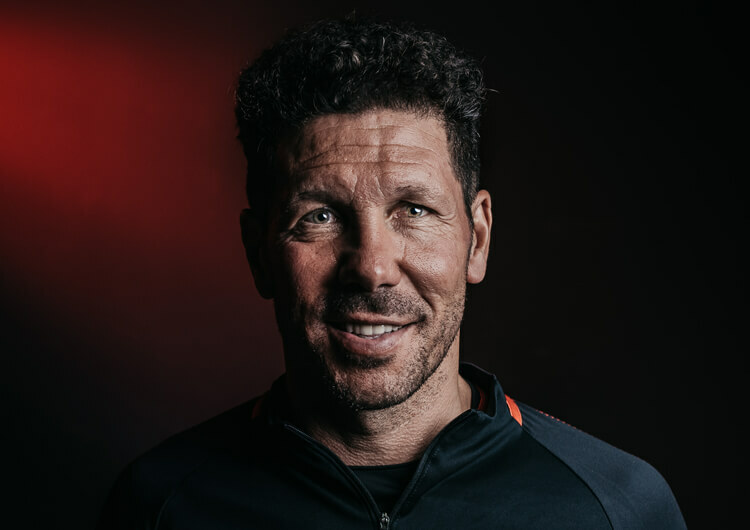 Los Blancos stretched the pitch as wide as possible in possession, with either the full-backs or the forwards hugging the touchline and the midfielders and attackers playing on different lines inside. Isco predictably tended to sit deeper and drifted inside much more than Benzema or Bale. 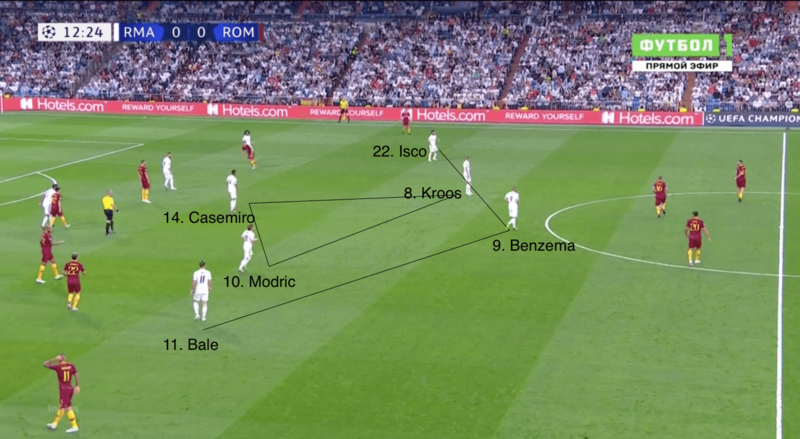 They imposed an early strategy of trying to release Bale in behind at the earliest opportunity – this further stretched the play and created more space for Isco and Modric to dictate play in advanced areas. Real caused numerous problems for their opponents through their combination play around the edge of the penalty area, and blindside runs beyond individuals within Roma’s defensive and midfield units. 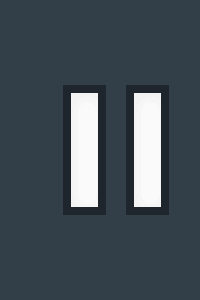 Several early chances were created through both of these approaches, including the free-kick that led to Isco’s opening goal on the stroke of half-time. They similarly posed a threat when individuals would drive forward with the ball – this attracted players towards the man in possession, creating space behind and around the pressing player. Well-timed passes to the free man allowed Real to eliminate players from their opponents’ lines and increase the number of chances they were creating. The hosts’ attacking players could be seen dropping far from the defensive line to help with the build-up, but one would always stay high to discourage Roma from bringing their defensive line up. The Roma players were reluctant to track the likes of Isco and Benzema when they dropped deeper, as they were wary of leaving more dangerous spaces in behind for penetrative runs. In turn, though, this allowed Real to overload Roma around the ball, allowing for clean progression to the next phase. They remained in their 4-3-3 out of possession and would look to press Roma high when possible. 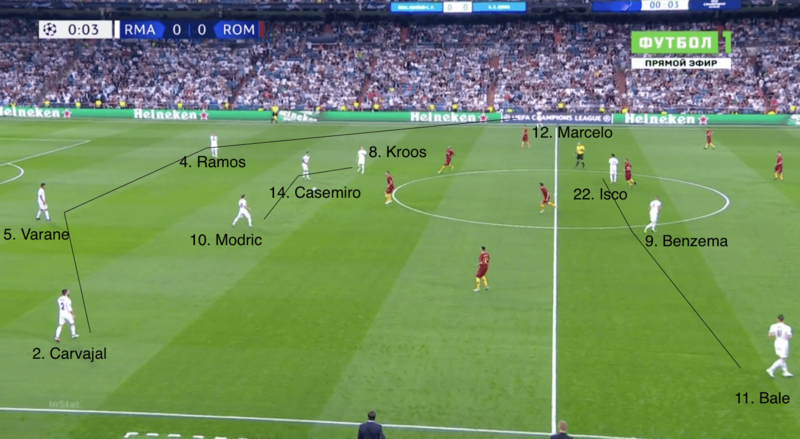 Modric often locked on to Daniele De Rossi in order to prevent the deep-lying midfielder from receiving and turning, while Benzema, Bale and Isco would press the centre-backs and full-backs – who were thus forced into playing long, inaccurate passes that could easily be recovered. They occasionally fell into a mid-block, where Isco and Bale would end up deeper than Modric and Kroos to track the full-backs. Towards the latter stages of the game, they took on more of a 4-1-4-1 shape, with Isco and substitute Marco Asensio tucking in with Modric and Kroos. This was to ensure they not only secured the three points, but also the clean sheet – although Roma rarely looked capable of grabbing a consolation goal. Real Madrid set up in a 4-3-3 with Casemiro, who sat a little deeper, Luka Modric and Toni Kroos forming the midfield triangle. Real stayed in their 4-3-3 formation out of possession, depending on the circumstances. If they pressed high, Modric would release from the midfield triangle and lock on to Daniele De Rossi. If they sat back, Isco and Bale would track the full-backs. An example of Real’s high press – here, Bale and Modric close down the ball, with Benzema, Isco and Kroos also in support. The hosts would regularly drop players from the top line and create overloads to make it easier to isolate and bypass the Roma players. 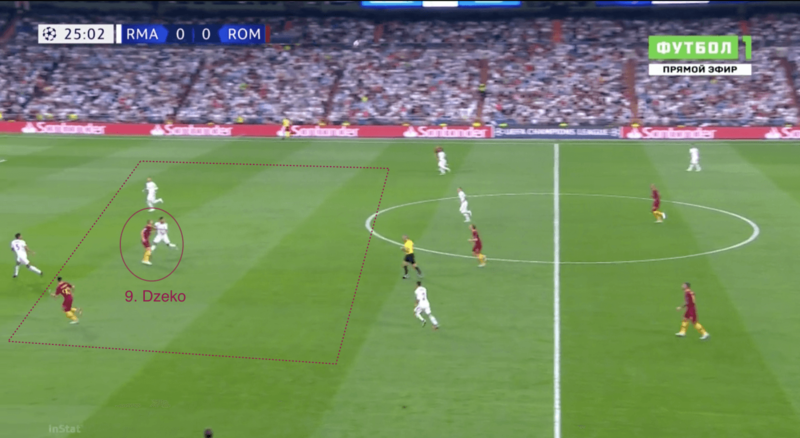 One of Real’s chief strategies was to release Gareth Bale in behind the Roma back line at the earliest opportunity – the example you see here led to the second goal. Roma set up in a 4-3-3 in possession, with Edin Dzeko once more as their main focal point in attack. 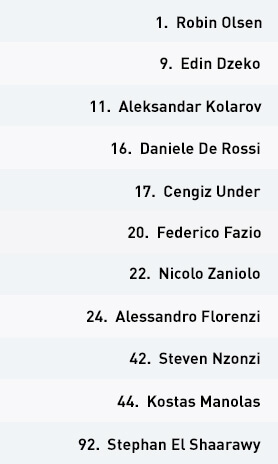 The visitors set up in a 4-1-4-1 out of possession, with De Rossi sitting between the midfield defensive lines.  The team often operated in a well-organised but rigid mid-block. The primary strategy for Roma was to send direct passes to Dzeko. The striker would often win the first ball, but those around him regularly failed to secure the second. Roma also looked to build down the left-hand side, with Aleksandar Kolarov pushed forward from full-back. But the intelligence of the Real midfield off the ball made penetration very difficult. Roma set up in a 4-3-3 shape, with Edin Dzeko as the focal point of the attack and Stephan El Shaarawy and Cengiz Under providing support in the wide areas. The midfield trio consisted of Daniele De Rossi, Steven Nzonzi and 19-year-old debutant Nicolo Zaniolo. De Rossi would often hold a deeper position and form a triangle of security with centre-backs Kostas Manolas and Federico Fazio, allowing full-backs Aleksandar Kolarov and Alessandro Florenzi to get forward and provide the width. Their attacking play was limited to two basic ideas in the first half. They would send direct passes to Dzeko, who would regularly win the first header but was let down by his teammates in collecting the second ball. They also favoured building on the left-hand side through Kolarov, but they enjoyed little success against an intelligent Real Madrid midfield aware of the danger. Dani Carvajal at right-back would be drawn out to deal with Kolarov, as Casemiro provided the cover – but while this opened up the possibility of an inside passing channel, Luka Modric was shrewd enough to then cover Casemiro. Roma often had to go backwards as a result, or would try to force a pass inside that would inevitably be cut out. As they were chasing the game in the second half, the visitors became increasingly attack-minded and started to commit more bodies forward. This coincided with their most promising spells of the game, but also left them vulnerable to the counter-attack. 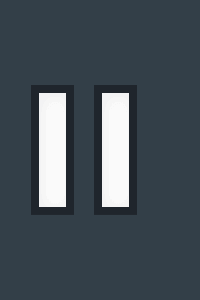 Real capitalised on this vulnerability for their second goal and created several other opportunities beyond that. 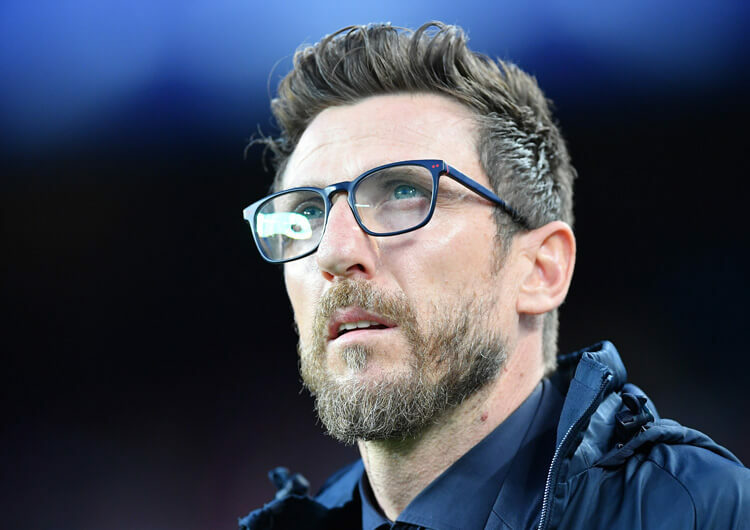 Out of possession, Eusebio Di Francesco’s men set up in a 4-1-4-1 system, with Dzeko at the top of the structure. El Shaarawy and Under would tuck in with Nzonzi and Zaniolo, while De Rossi would patrol the area between the lines. 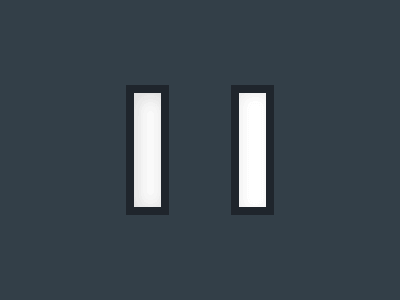 On paper, this would appear a well-organised structure; in reality, however, it was far too rigid. 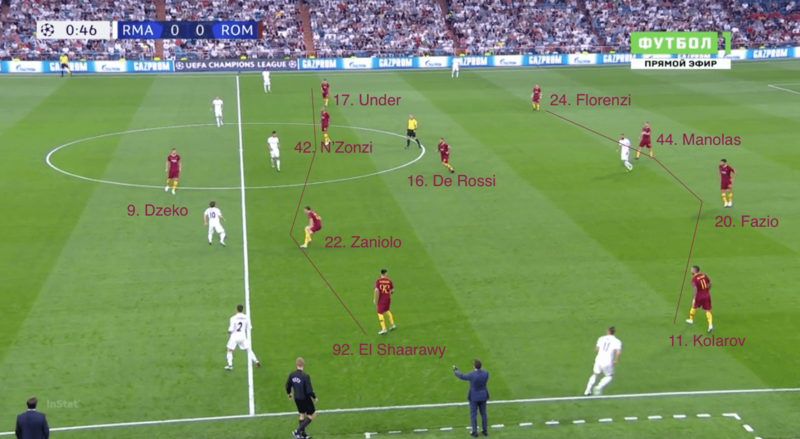 Real comfortably created overloads and dropped players between individuals within lines or either side of De Rossi, who simply couldn’t cover both areas. They attempted to press the hosts when they were playing out from the back, but the free man was always readily available to bypass this press. Roma proved no match for their opponents at the Santiago Bernabeu, and will have returned to the Italian capital exhausted at having been second best throughout against the defending European champions. 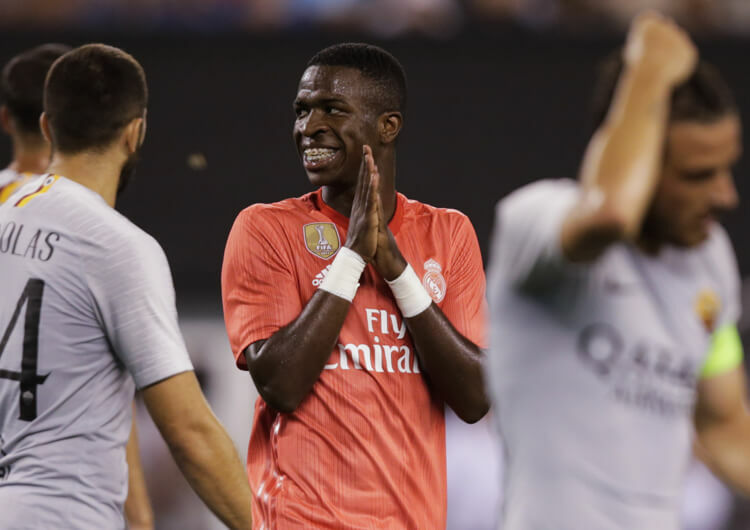 With Cristiano Ronaldo and Zinedine Zidane both gone, Real Madrid are looking to a new generation of galacticos in their perennial battle with Barcelona – can the exciting young Brazilian Vinicius Junior rise to the task?